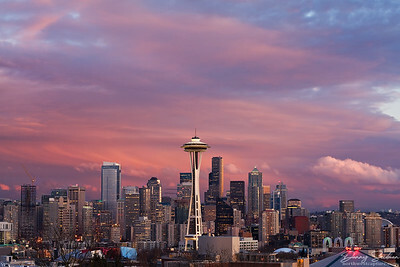 The city of Seattle shows its beauty from many angles with stunning natural backdrops and is complemented by dramatic skies. 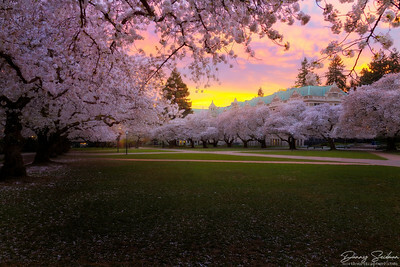 As the colorful remnants of a spectacular sunset remain aglow distant on the horizon, low lying clouds gently roll over and weave through the hills and valleys of the Olympic Mountains’ eastern slopes. 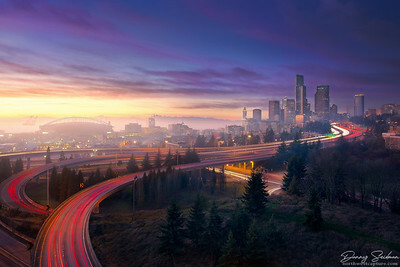 The dazzling natural beauty of the rugged Pacific Northwest landscape provides this unusually elegant backdrop as twilight falls over the Emerald City. 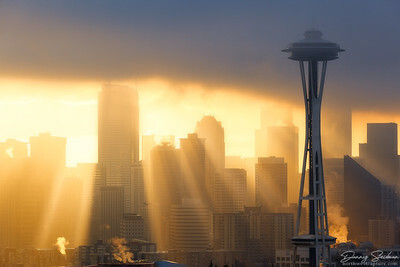 The sun's rays penetrate light fog on this cold December morning. 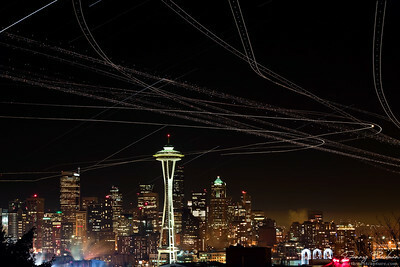 This composite image captures an hour's worth of air traffic over downtown Seattle. 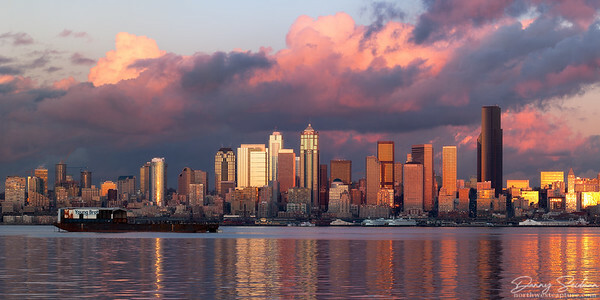 An especially colorful sunrise over Seattle is captured in this panorama. 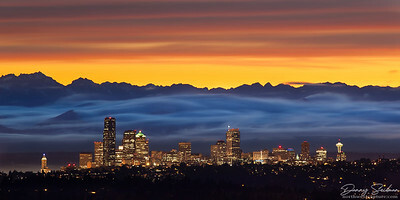 Just after the sun sets, fog blanketing the Puget Sound begins creeping into the city. 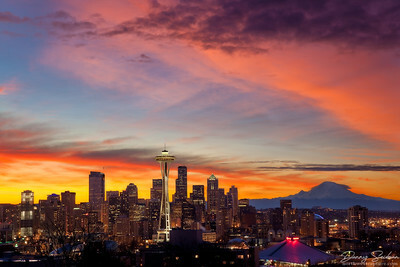 Just before the sun came up, the sky above Seattle looked almost as if it was on fire. 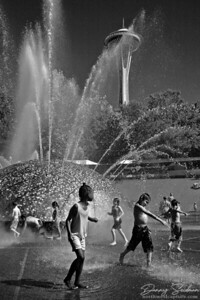 Children play in the fountain at Seattle Center. 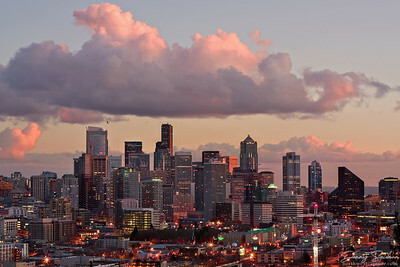 Seattle glows in the warm evening light. 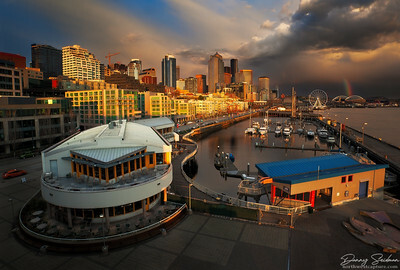 A clearing thunderstorm as seen from Seattle's Pier 66. 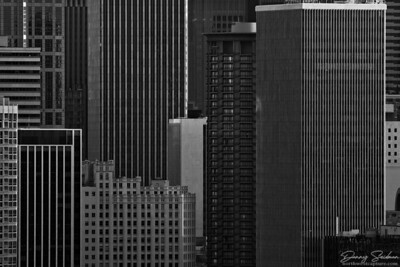 Downtown Seattle as seen from Queen Anne Hill. 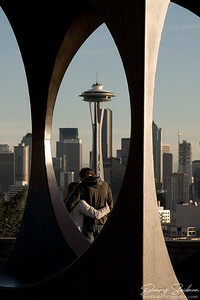 A couple admire the view of downtown Seattle. Unstable Spring weather made for some interesting cloud formations and colors. A close look at downtown Seattle. 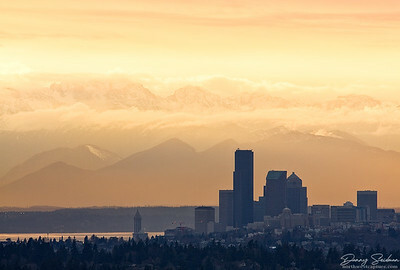 The Olympic Mountains serve as a backdrop to the skyscrapers of downtown Seattle. Most of the city is still asleep during this summer sunrise at Gasworks Park. 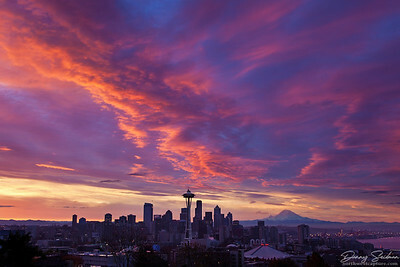 A spectacular sunrise over Seattle, as seen from Queen Anne Hill. 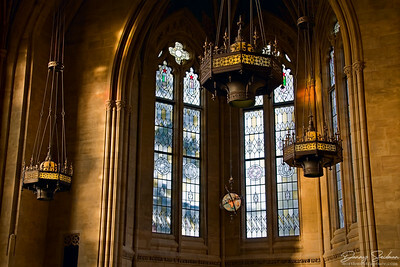 Late day sun illuminates the Suzzallo Reading Room at the University of Washington. 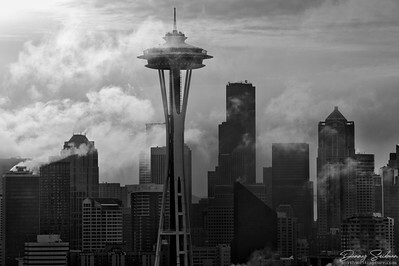 Dramatic low-hanging clouds waft through downtown Seattle to create a moody scene. 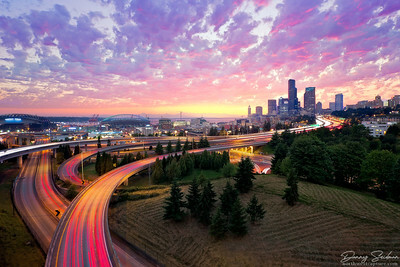 Traffic flows through the city as an incredible sunset takes place overhead. 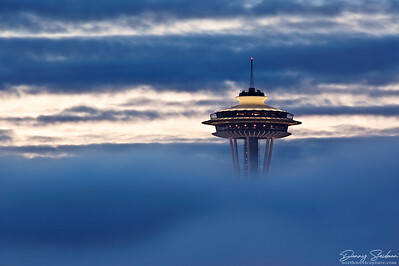 The Space Needle makes an appearance as the rest of the city below is shrouded in heavy pre-dawn fog. 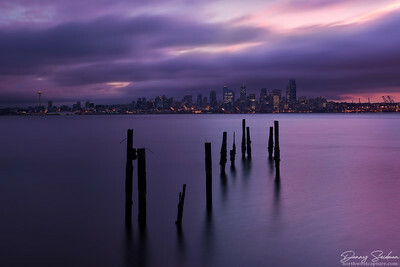 Quickly moving clouds blur in this long exposure at Alki.